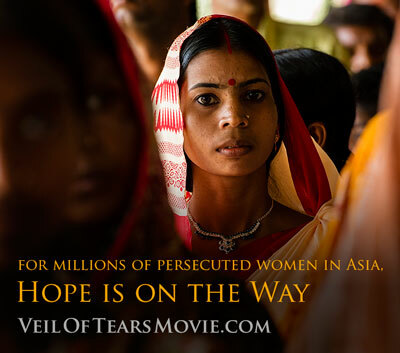 The gripping documentary “Veil of Tears: Hope is On the Way” tells the untold story of millions of women in Asia who are abused and trampled for no other reason than the fact that they are women. However, despite the centuries of oppression, there are those who are reaching out and trying to restore dignity towards women, one day at a time. 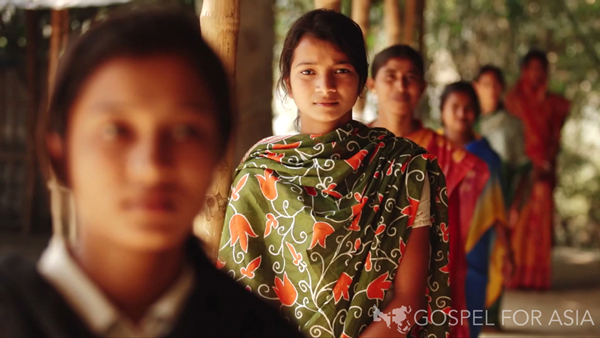 Take a moment to learn about the women of Asia and how you can be a part of Gospel for Asia’s movement to rescue generations of women from oppression and bring them into the hope of Jesus Christ. 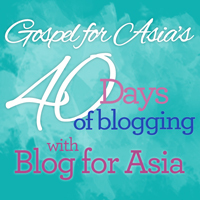 Use the resources below to share about Veil of Tears on your blog and encourage your readers to find out more about the women of Asia. Life Cycle of Suffering for Women | In some cultures women are protected and respected…but in many cultures it’s a completely different story. Find out more. Journey Where Few Outsiders Have Gone Before | Go on a journey where few outsiders have gone before – through remote tribal villages in India, into the lives of oppressed women. Find out more. Gender Selective Infanticide in Asia | Over 50,000 baby girls are aborted every month in South Asia – just because they were girls. Find out more. Do you have your own website or blog and want to display a Veil of Tears banner? The information below is for you. Simply find the banner you want, copy the html code and paste it into your blog or website. Share this image on your Facebook to let people know about the movie. #3-Write a sentence encouraging people to go to www.veiloftearsmovie.com to see the trailer.